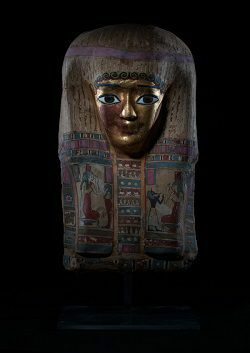 Get up close and personal with not just one, but three real mummies! Investigate one of the most intriguing primary civilizations ever to exist and learn about their spiritual and cultural practices, burial methods and rulers. Cost: Approximately *$8.00 per person. Egypt (Mummification): Discover the process of mummifying the dead; and delve into the closely held secrets of the ancient embalmers. Perfect for 6th grade and up! For full class list and pricing information, visit our Lab page. Book Exploring Ancient Egypt today by contacting us at (713) 639-4659, e-mailing fieldtrips@hmns.org, or filling out our online booking form. Delve deeper into a wide variety of topics with an on-site Outreach Program, catered to your group’s needs! Explore a wide variety of topics, from the rock cycle to chemical reactions to ancient civilizations. Programs can be added onto any package; for full program details and pricing information, visit our Outreach page. Explore science, nature and history in our interactive science labs which feature specimens, artifacts and laboratory equipment – including dissections labs for grades five and up! Lab classes can be added onto any package. For full class list and pricing information, visit our Lab Class page.